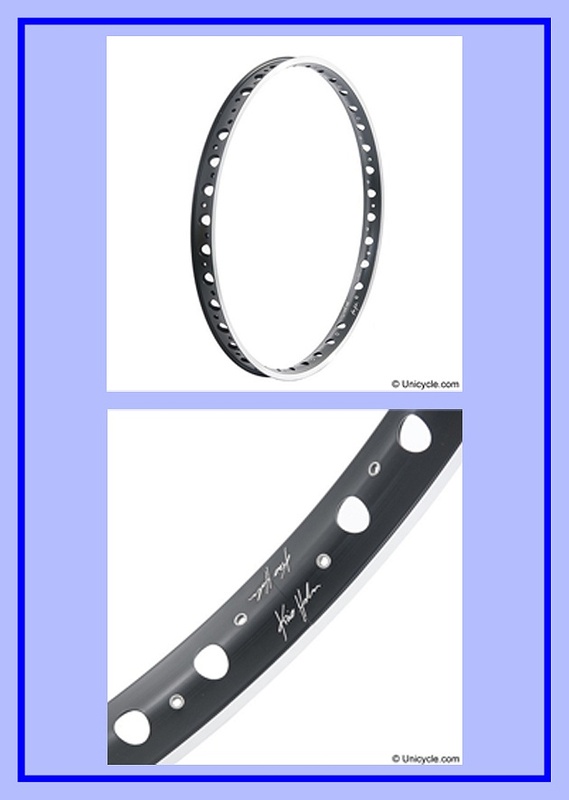 The KH rims balance stiffness and stability using carefully shaped drillouts to reduce weight while maintaining the high strength requirements of street, flatland, trials, muni and xc unicycling. * Super wide 47mm for stability and greater tyre volume. * 36 hole with offset eyelet spoke holes for strength. * Oval drillouts to save weight without compromising strength. * Hard black anodizing with CNC machined braking surfaces. * Stainless steel eyelets for better wheel tension and strength.